I truly believe that these parents and community members are sincere in their efforts. And I respect what they are trying to do. But, there is no “central district office plan” to improve a school, and make it work for children. The most gifted and talented chancellor or superintendent can’t lead an individual school. The important role that the NYCDOE (or any central board) can play is to (1) provide the resources; i.e. materials, expertise (instructional and leadership coaches), partnerships, connections to city social service agencies, supplemental (in and out of classroom projects) funding, etc… (2) If the school has a shocking 35% graduation rate; that means there are probably a large number of students who are “under-credited” and “overage”. I don’t care if you bring John Dewey back and make him the principal; this group will continue to fail if they don’t receive a radically different “treatment” other than the present 9-12 grades, four-five year format. The 35% also suggest that a majority of students entering the 9th grade are not equipped with the ELA and Math skills to do high school work (this is the definition of programmed for failure). This means that a radically different curriculum, and bell, day, year schedule, is needed for these very weak students; that would allow for the bridging of pre-high school learning objectives, with high school learning objectives. Further, (there is the schools culture), without a pedagogy of empowerment (essentially when the entire school community goes on an educational success mission), most of the students will be doomed upon entering the 9th grade; they need a sense of a collective mission! And (3) here the parents and community can work together with the NYCDOE; but this may be hard for some to take. The school must be transformed into a productive learning environment for the majority of students, who do want to learn. Quality learning time is essential for these students to even have a chance to succeed. Students (more than likely the “under-over” group) know that the school offers no hope for them in its present format; therefore they are going to disrupt the learning environment; which means. More students are not going to be able to learn (a vicious cycle). Finally, (also a parents community, NYDOE effort) (4) Protect and defend the principal; as any plan that would raise the level of academic achievement in a school facing this level of challenges ; and because of B&GHS’s demographic profile, will definitely ruffle some feathers; and will absolutely place the principal in danger. But with a 35% graduation rate, any timid or half-hearted plan won’t work; no matter who puts it together. Educating kids isn’t rocket science. It’s harder. This is an excellent and effective step in the right direction, if we ever hope to move beyond this era of simplistic solutions….But the start: As in any profession, the professionals must create a “prime ethical directive”(sticking with the space metaphor :-) to do no harm; even at the cost of adult employment. What he fails to say is that NASA does not promote a culture where the majority of the rockets, never leave the launching pad, or crash when they do. This unfortunately is the acceptable fail rate reality for too many of our public school children. Although (the truth not spoken) these schools really don’t do a good job with the majority of students (rich or poor); children of color and poverty suffer the most under this system of high acceptable loss. However, this is very, very good start! For the past two decades, self-styled education reformers—the newest of whom is journalist Campbell Brown, whose Partnership for Educational Justice seeks to “reform” teacher tenure—have been inundating the public schools with ineffective programs and imprudent policies. They’ve spent billions of dollars and millions of hours on their pet projects. And the simple truth is that they don’t have much to show for it. Ask reformers about this and they’re likely to blame unions and bureaucracy. Reform fails, they would argue, because it gets blocked. But most reform isn’t blocked. Just ask a teacher; reform has been raining down on the schools as long as most can remember. The real question, then, is why does so much reform produce so little change? The answer is that education doesn’t seem very complicated. To most observers, fixing schools seems more like baking brownies than like launching a rocket. Mix one good teacher with a solid curriculum; stir in a few books; add a pinch of snazzy technology; and bake for 180 days. After all, what could be so hard? We’ve all been to school—most of us for at least 13 years—and we’ve watched teachers and administrators do their work. It just doesn’t seem that hard. Make sure the bells ring on time. Keep the kids quiet. Get some teachers who know the material. By contrast, most of us have never been to a NASA center. And we’d be hard-pressed to guess what goes on inside one. Are they doing equations? Practicing maneuvers in zero-gravity simulators? Mixing up rocket fuel? As a result, most of us—reformers, particularly—think we know what’s best for the public schools. But we would never presume to have answers about where to look for sources of Gamma-rays or about the importance of measuring Jupiter’s atmosphere. How long would any of this be taken seriously? The point here is not that various groups involved in school reform should disengage from the field. Their energy and financial support can play a critical role in supporting communities and their schools. And for all their arrogance and errors, reformers have helped turn the nation’s attention to the importance of public education. NASA should be so lucky. But the egotism and ignorance of the so-called education reform movement are all too often on display. Because the work of improving schools isn’t as simple as reformers believe. Reformers would know this if they spent their days in schools. But most do not. Unlike working educators, most leaders in the reform movement have never taught a five-period day, felt the joy of an unquantifiable classroom victory, lost instructional time to a standardized test, or been evaluated by a computer. And unlike the vulnerable students targeted by so much reform, most policy elites have not gone to school hungry, struggled to understand standard English, battled low expectations, or feared for their personal safety on the walk home. Sure reformers may visit schools occasionally. But they see only what can be immediately observed and miss everything beneath the surface. Consequently, as I documented in my book Excellence For All, they tend to ground their decisions in anecdotal evidence and personal experience. Because they believe that school reform is simple, reformers are also untroubled by their lack of familiarity with educational research. Most do not know much about test construction, cut scores, or measurement error. Most are not steeped in the literature on cognition, memory, or motivation. And most have never understood schools from an anthropological perspective or picked up an educational history. At its core, education can be quite simple. To quote the ever-eloquent Mike Rose: “It’s the experience of democracy itself. The free play of inquiry. The affirmation of human ability. The young person guided to the magnifying lens, the map, the notepad, the book.” Intuitively, we all get that. But bringing about the conditions that foster this vision of education? That’s among the greatest challenges I know of. As anyone who spends time in schools knows, good schools are thriving ecosystems—the product of strong relationships, high levels of trust, robust systems for knowledge-sharing, and a collective pursuit of personal growth. And those things simply can’t be mandated from on high or plucked off a shelf. Schooling—our primary mechanism for promoting education in the United States—is plagued by a number of challenges. Some are relatively straightforward; schools need adequate funding, for instance. But most of these issues are dilemmas rather than problems. The difference being that whereas problems can be solved, dilemmas can only be managed. What, for instance, do you do about student engagement? That’s a question not easily solved by introducing new gadgets or by paying students to stay focused. Want to put a rocket into space? No problem. Just get enough brains working on the task. Want to educate 50 million students in a powerful, relevant, and relatively equal way? Now that’s a challenge. As it turns out, educating kids isn’t rocket science. It’s harder. And until reformers take that message to heart, it’s our job—as citizens—to speak truth to the simplistic answers pushed by the powerful. 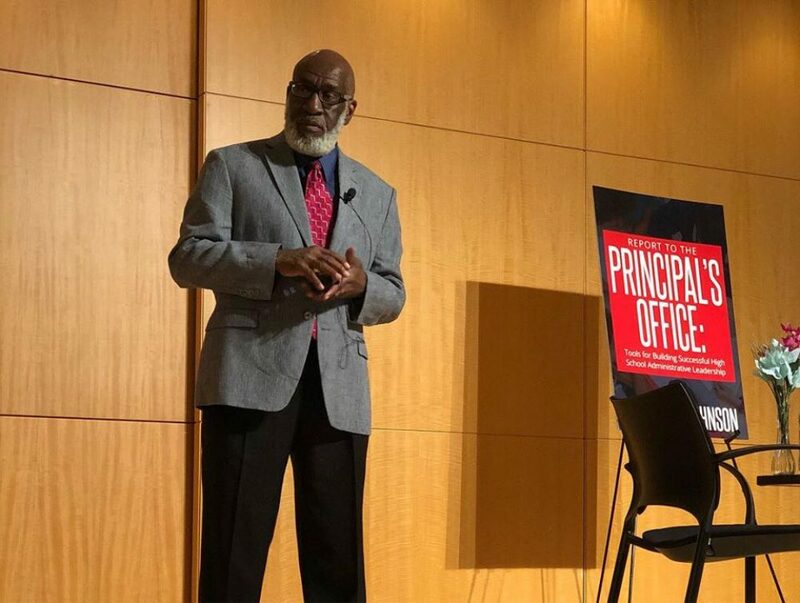 There is perhaps no greater misunderstood, underappreciated and unacknowledged important position in education than that of the Assistant Principal (AP). Although the principal is often the schools “headliner”; in every situation I have experienced as a principal (and if we are to be honest) the AP worked just as hard, just as long hours, and was as necessary, as the principal. Further, a great deal of what can go wrong, or right in a school is based on the expertise and quality of the AP(s). I have visited many schools over the years; and it is probably safe to say that the best schools of course have a principal with a vision and a strong strategic plan to make that vision operational; but behind every great principal I have observed; there stood a great AP(s). As a result of our latest “pendulum swing” into (and hopefully one day out of) the era of: “professional pedagogical knowledge and experience doesn’t matter”. The important role of various members of a schools team, and how they impact a schools success has been lost. There is just no way that a school districts leadership team that lacks the critical input of experienced school based administrators, can fully understand what is truly needed to make a school work. The simplistic notion that the skills of a “fast-food” or grocery store manager was easily transferable to a school leadership position (with a few fly-by-night workshops), says a great deal about how we feel about the kind of people we want to lead our schools; but more importantly, the kind leadership we believe our children deserve. Perhaps no position has suffered more from this era of ignorance then the AP. As school budgets became challenged, or as in the case of one school, to enhance its varsity sports program; AP positions were eliminated; without a single strategic thought as to how the task performed by that AP would get done. In places like Philadelphia, schools have been forced to cut positions like that of the AP, and school guidance counselors, simply to be able to have enough teachers to barely cover overcrowded classes. This can happen because the public is not aware of the critical role of these non-teaching positions; and of course the least aware communities, are the ones whose children will see the greatest eliminations and harm done to their schools. Many of the struggling schools I now visit, in truth need more, not less school based administrative support; as the children who attend these schools, bring a plethora of challenges with them into the school building; even the most talented and gifted principal can’t be in two places at once; and so we are watching the devolution of the principal’s ability to be effective because of the absence of an AP colleague in the building. The physical and emotional support that students need is obviously (to the trained observer) missing as that necessary AP is missing. But there is another short, and long-term loss to a school when there is a shortage of school based leadership. The AP (at least in all of my schools) serves as a critical instructional leader/staff developer in the school building; this role is essentially indispensable for teachers in the first to third years of their practice; but it is also necessary for “veteran” teachers, so that they can continue to improve in their teaching methodology. The same schools that suffer the most financially; will more than likely be the schools with either high teacher turn over, and/or a constant influx of 1-3 year teachers; thus these children suffer a triple “penalty” of: having a principal who is now devoting less time to students and instruction in order to do the work of a missing AP (just because a position is eliminated that does not mean that the essential work of that position is eliminated); the “building-calming”/management of the AP, the socio-psychological student support of an AP; and the diminished attention being given to the improvement of the quality of instruction, created by the shortage of an AP. A further problem that is caused by the absence of understanding of how a school operates; is the long-term harmful effects this lack of attention to the AP position will cause in the future. It is the AP position (and not the fast-food restaurant manager’s position) that is the best, most efficient and most effective training ground for future principal’s. A school system essentially receives free principalship training as the AP, over time is professionally prepared by the principal by performing: manageable “principal duties” (i.e. the budget, crisis management, personal support, etc.) Over time the AP grows in knowledge, success and confidence. This “on the job training” perfectly complements the course work of the principal’s graduate school study programs that lead to certification. I understand that a lot of principal’s (who like their colleagues in Philadelphia) are between a rock and a budget hard place; they are often forced to choose between two bad choices for children. And so the decision that would give them the ability to properly, and effectively staff their buildings is “above their pay grade”. There will probably not be a public “ground swell” for AP’s, as there is little general understanding of their important role in the academic success of children. But a start would be for those of us who do know, to explain why these school based leaders are necessary for a school to even function properly, let alone improve. *Absolutely necessary, essential, incapable of being: disregarded, neglected, disrespected; and should be well compensated! This is why you should read carefully and watch your “Back”……. In every declaration, statement, test question, there is that: “operative-turn-key word(s)”; in this case the reader should very clear (and looking for), as to what is meant by the word: “back”. Oh well, who needs clarity when you can settle for rhetoric. Sometimes when I read news articles I wonder if there is a need for some regulation that would force them to issues a warning label at the start of the article that says: “Read this improperly at your own risk!” In any event this is just another opportunity to put in my plug for the importance of critical reading skills. This headline could, if not read with the skill of critical analysis; and read in the context of the full article could lead to a teacher being terminated. What is also missing from the article is an explanation of the regulations that govern teacher professional responsibilities. Why is this important? Because of all of the charges that could lead quickly and easily to a school employee’s termination, it is the charge of insubordination that will do it! And that is why I would advise teachers that if you are not given an illegal directive, that you do what you are being asked to do; and then after the event, file a grievance; or a lawsuit. Standardized assessments, whether you like them or not; or whether you deem them useful or not, are legal mandates. No employer (public or private) is going to allow an employee to pick and choose what rule they wish to follow. If a teacher decides that taking attendance, allowing students to use the rest room, or giving a student a grade on a report card, is unnecessary; should they be allowed to refuse to do it? Finally, the comments of the union leaders may have been politically “slick” and nuanced; but they were very clear in not inviting their constituents to violate regulations that could get them fired; only it is up to their constituents to read their words cautiously, critically and carefully. At the very least, a good step toward sanity, and a step away from amateurism…..
*Without going deep into the woods of psychometrics (the formal study, theory & technique of measurement, assessment, testing). The “cut score” basically is that score a student must reach to be designated: Basic, Proficient or Advance. This means that not only are the students (subjects) different from year to year; the exam (tool of measurement) is different from year to year. The exam could also be “changed” even after the students have taken it. If for example a question is poorly, or incorrectly worded, and a large number of students get it wrong; the question’s “value” can be downgraded and therefore the “cut scores” (and student scores) have been changed dramatically; as huge numbers of students are just below an achievement designation.